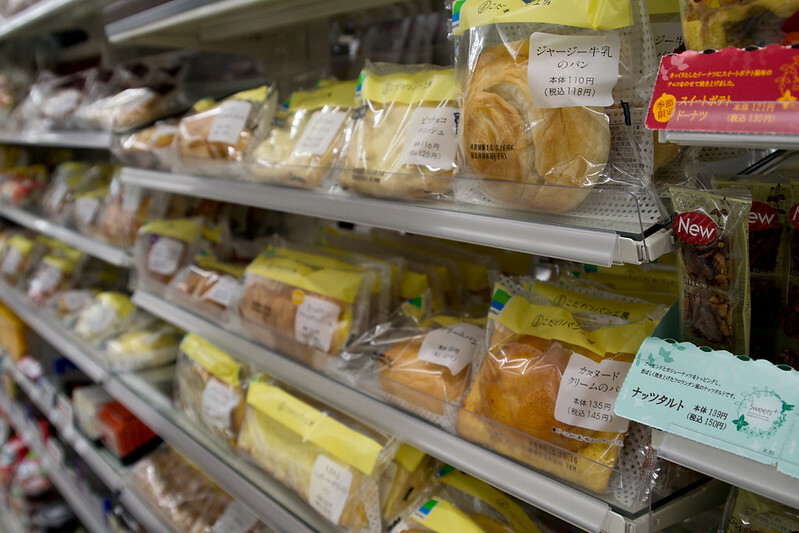 The reputation of the Japanese convenience store precedes it. 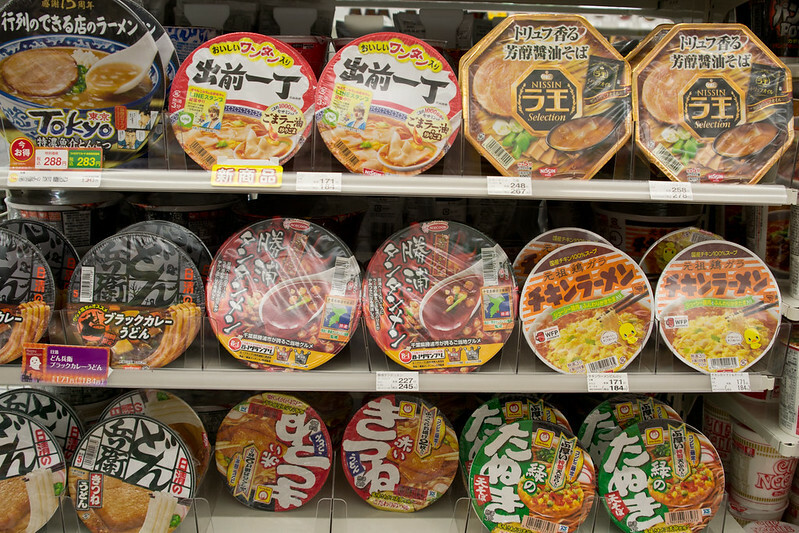 One of the first things anyone shared with me when they found out I was going to Japan was their praises for their 7-11s and the amazing selection of food they have available. Yup! Looks the same as home. 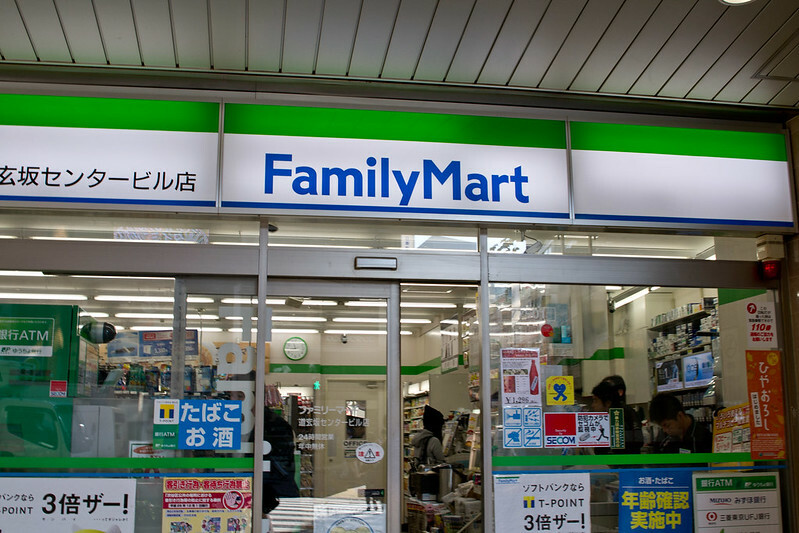 While most people think of 7-11 when they think of convenience stores, we found a competing store, Family Mart, to be more prevalent. There are a few other chains as well (Lawson, Circle K were the most common), but they all more or less sell similar things. I didn’t have enough time to really see if there were any differences in quality. 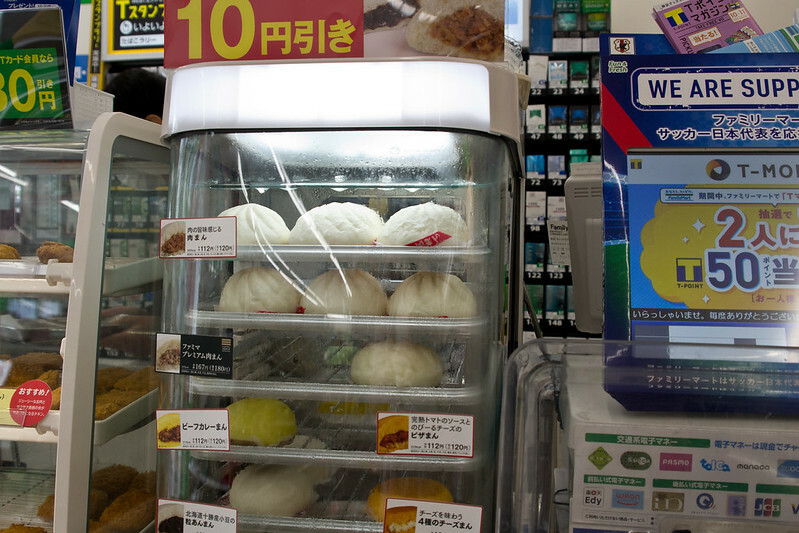 Regardless of the name, there was a convenience store on virtually every corner in the cities we visited it seemed. 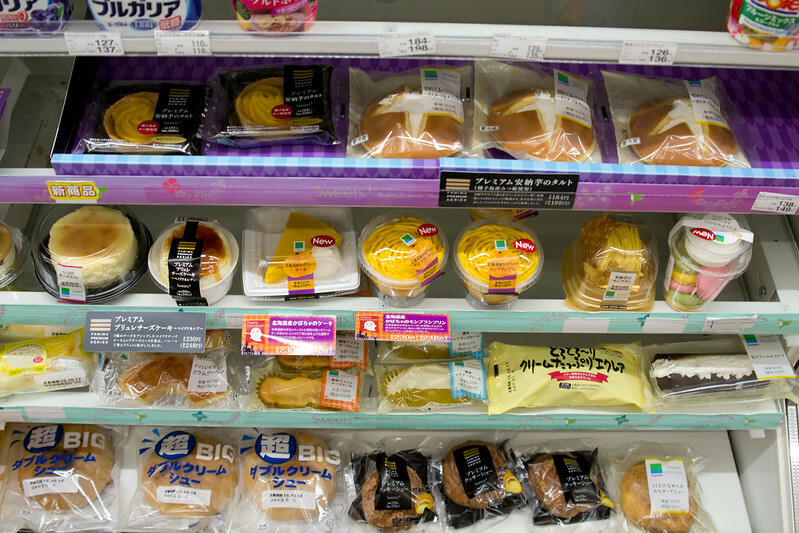 When I travel I always like to visit supermarkets, but these convenience stores were another story. There were so many fascinating things to look at. Ready to eat food, chips, candy, drinks, toiletries and they took it a step further and included things like clothing. So much variety in alcoholic beverages! Smoothie or coffee to go? 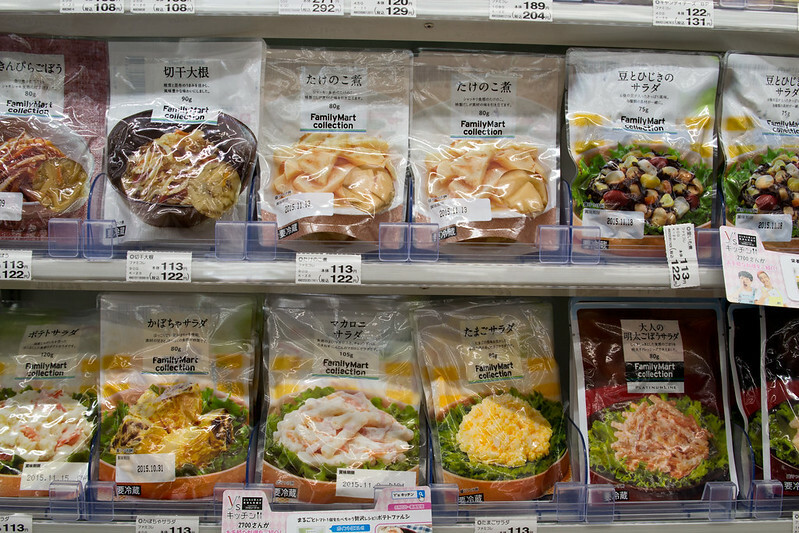 I loved the selection of ready to eat foods they had which would put any convenience store in Canada (and anywhere else I’ve been to really) to shame. 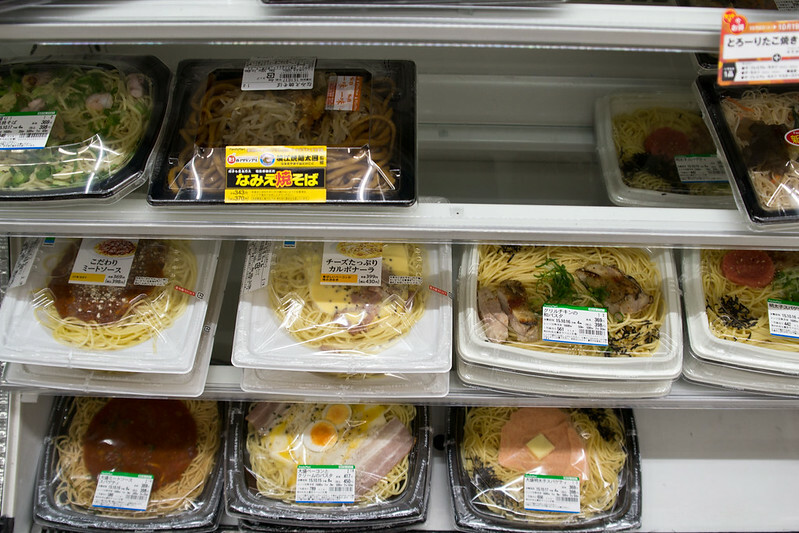 From rice balls to noodle sets to sandwiches, there were so many things to try. Beyond the egg and what looks to be tofu, I’m not really sure what all of this is. 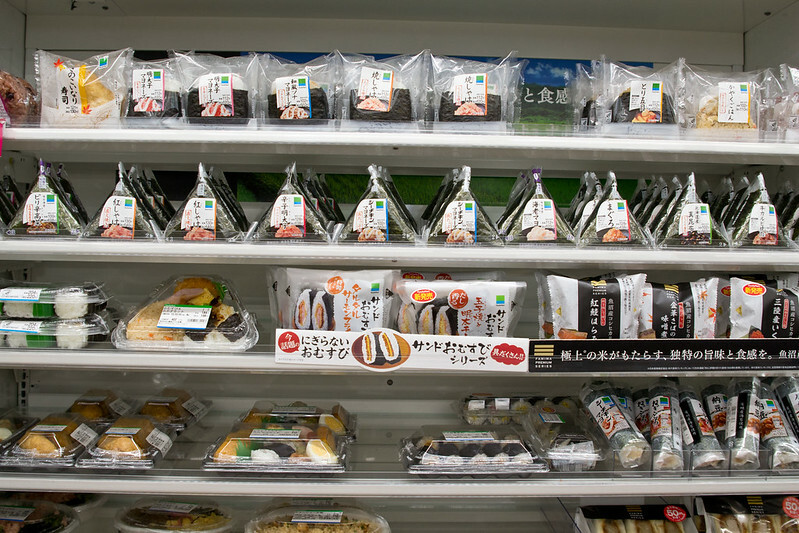 I was really looking forward to eating the onigiris they had. 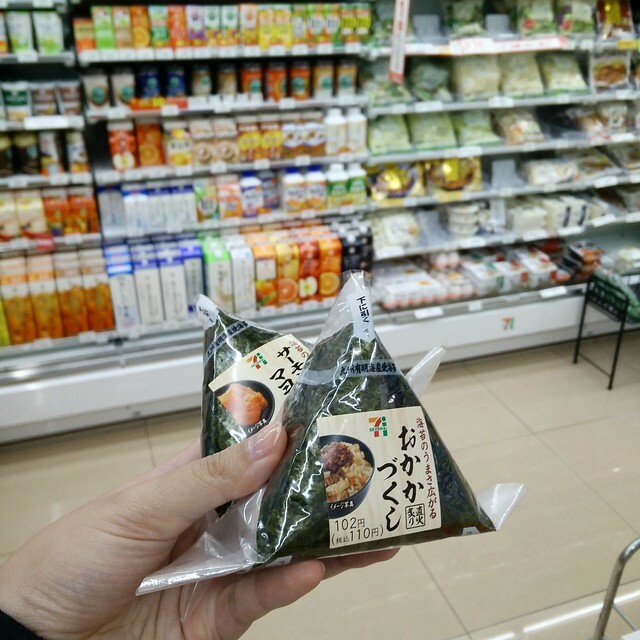 Onigiri are rice balls formed into a triangular shape and filled with a variety of items from fish like salmon or tuna with mayonnaise to pickled vegetables to fried foods like tempura. I ate quite a few of these during my time in Japan. Almost one a day as they made for a great snack or cheap breakfast. It was a bit like a game of chance with the filling. Not being able to read Japanese made it a bit difficult and even using Google translate didn’t help too much. Regardless, I found most fillings to be quite tasty. The only one I didn’t like was filled with pickled ume (umeboshi) which left a sour (both literally and figuratively) taste in my mouth. 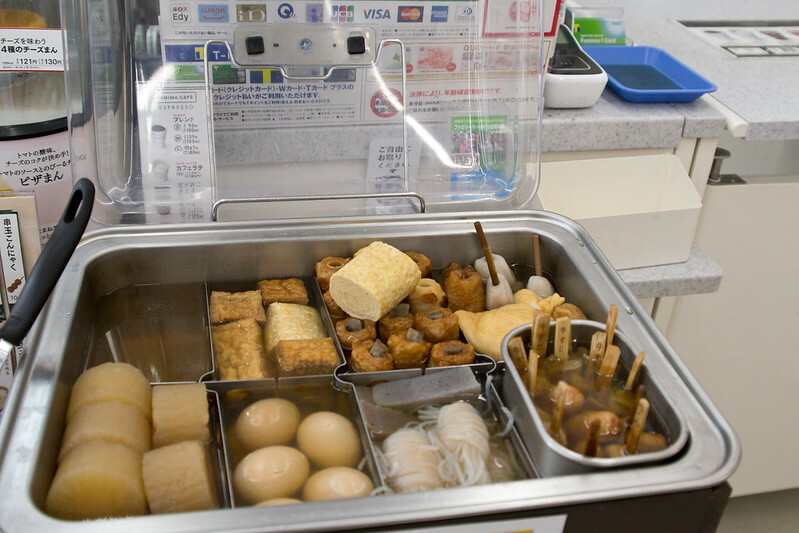 I also especially enjoyed the half boiled eggs they had available. It’s pretty incredible to me that they’re able to keep the correct egg yolk consistency. 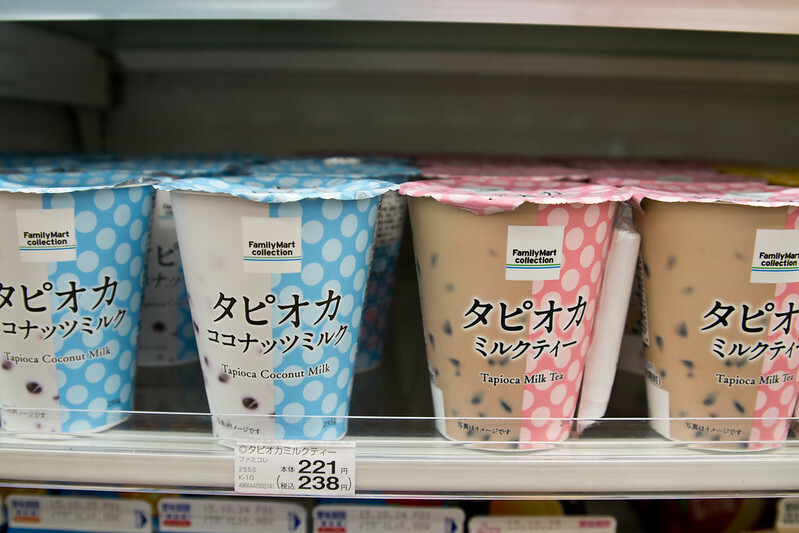 Another favourite were the mini bubble teas in the Family Mart which were the prefect size for me. 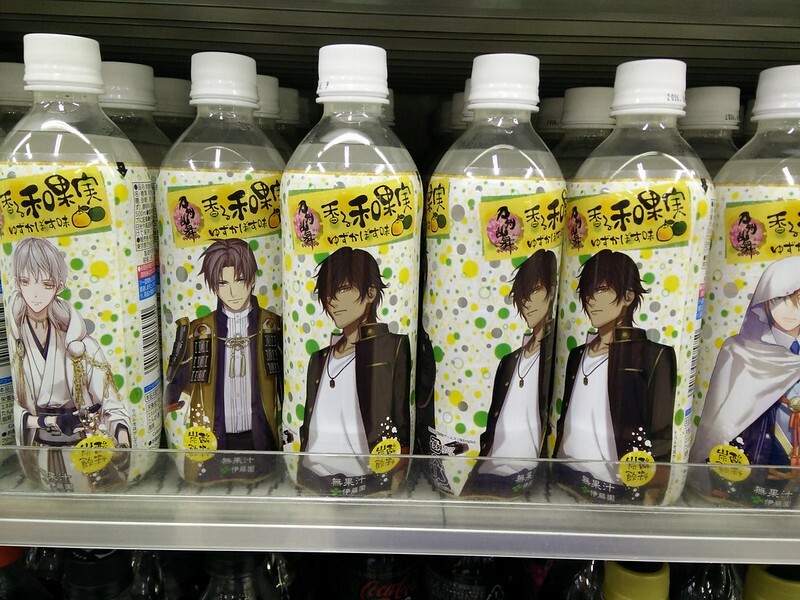 They came in a variety of flavours like coconut, milk tea and coffee. 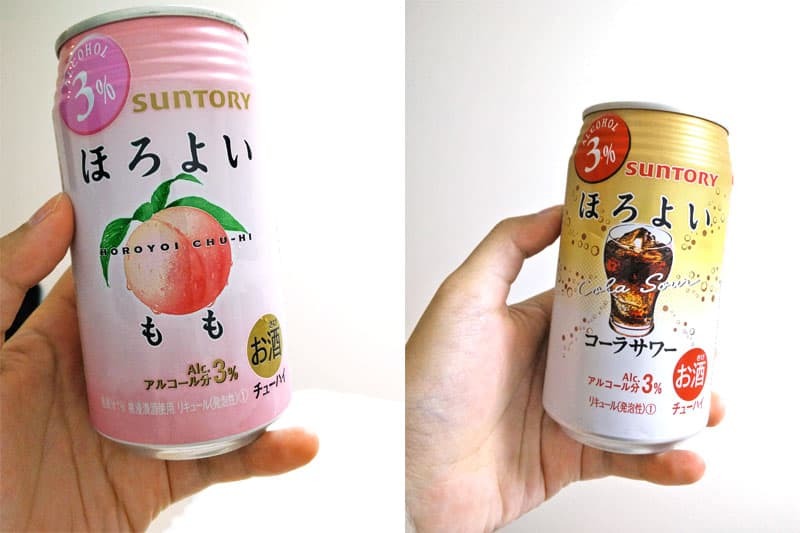 I also discovered these canned cocktails which I think has shōchū, a Japanese distilled spirit, mixed with juice or soda called Chu-Hi. I tried quite a number of flavours all of which I thoroughly enjoyed. 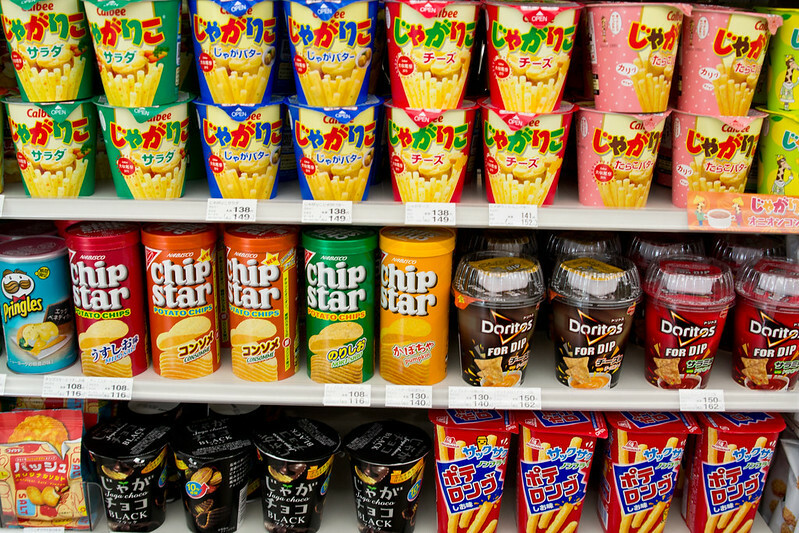 I had such a great time wandering through the convenience store. I could have easily spent an hour just looking at all the different brands and things for sale. Not to mention eat my way through it! 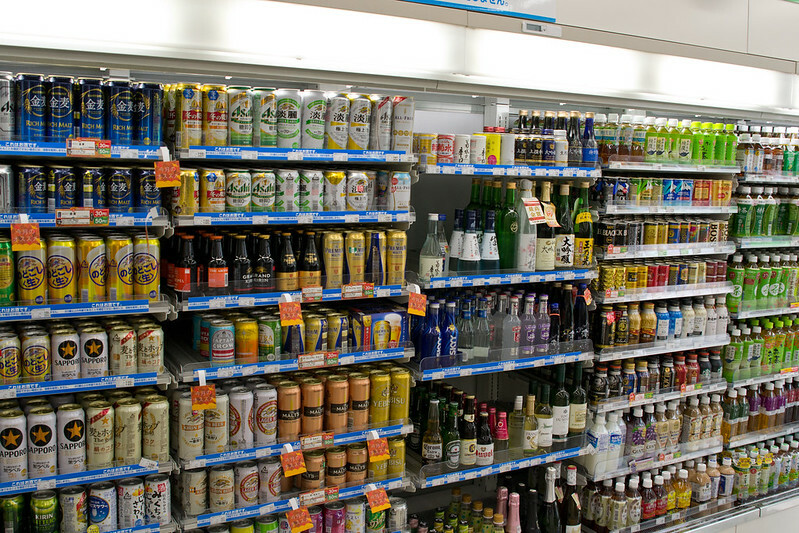 Now, if only I could pack one of these convenience stores home with me, that would be fantastic! What unusual aspect of a culture tends to fascinate you when you travel? 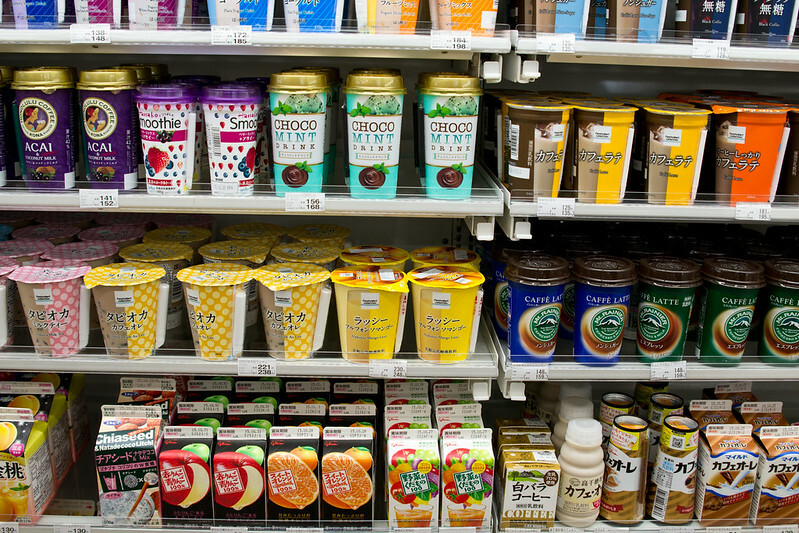 Have you been to a Japanese convenience store? What were some of your favourite discoveries? I also really liked the steamed pizza buns! 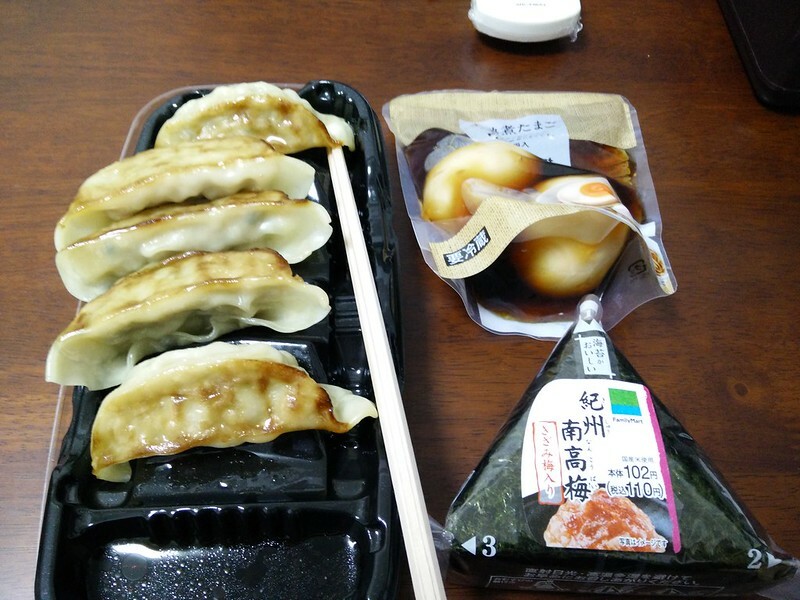 My uncle says the family mart onigiri are the best because they have less preservatives. I ate them from all the stores anyways. 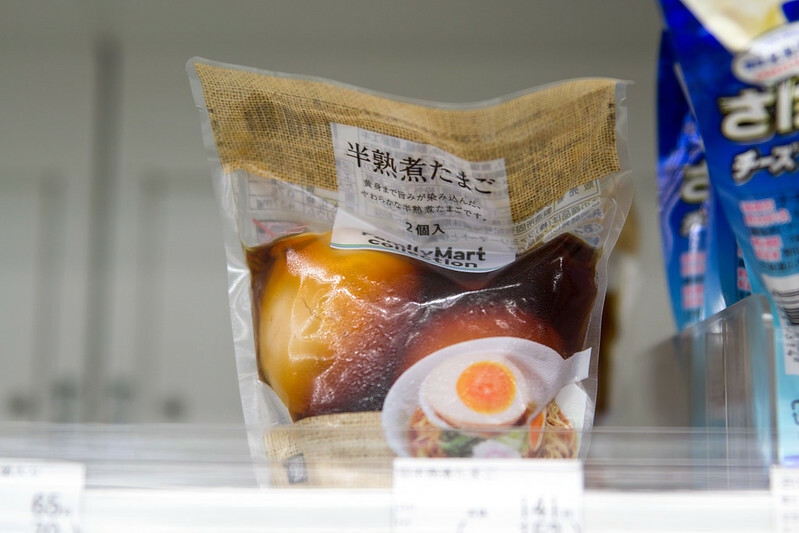 Haha, the ramen eggs were thanks to your suggestion. I was a little sketched out to try them, but SO GOOD! I didn’t see any steamed pizza buns. They sound good though! When my hubby went on a business trip to Tokyo a few years ago, he was so busy going from meeting to meeting that all his lunches were from 7-11. I had felt rather sorry for him, but after reading this, it doesn’t look like it’s that bad after all. What a selection! 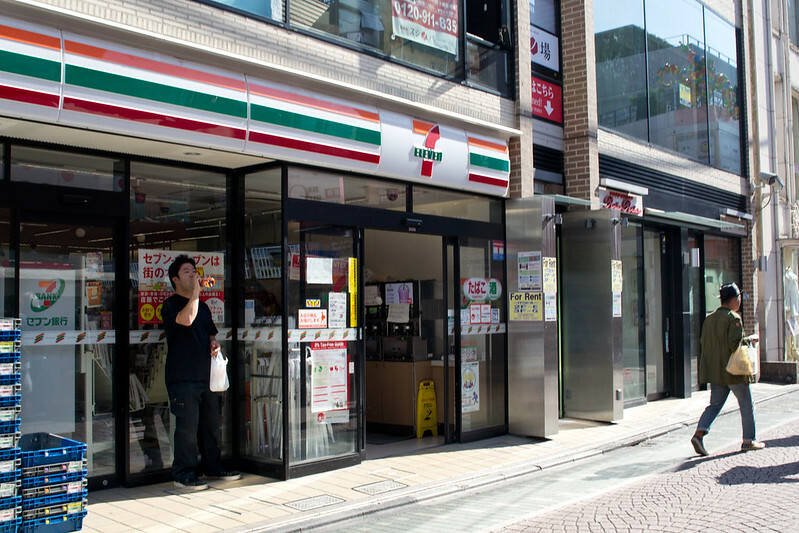 Certainly far better than what the 7-11 and Circle K are like near me. Funny enough, I just read about those carb-on-carb noodles on a bun the other day. 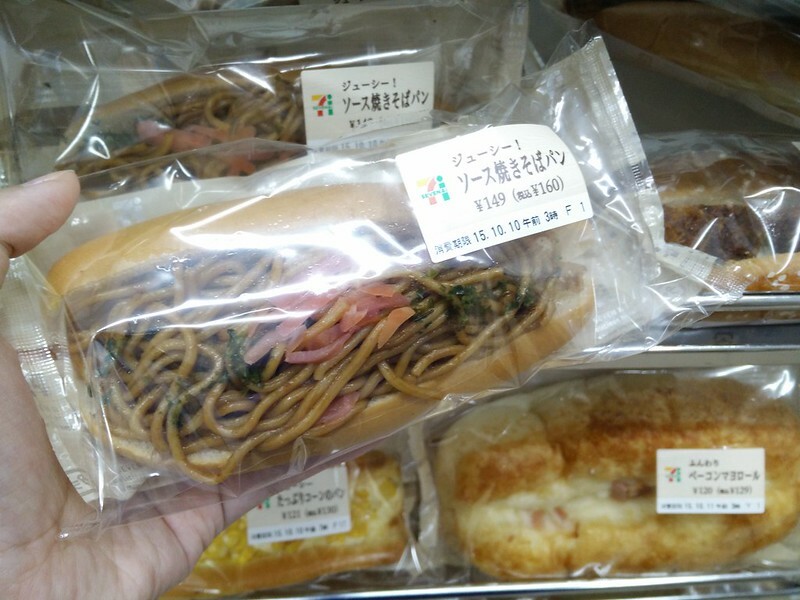 It’s supposed to be a easy, portable way to eat noodles on the go with just one hand. Oh wow, by that logic, it’s a great idea. 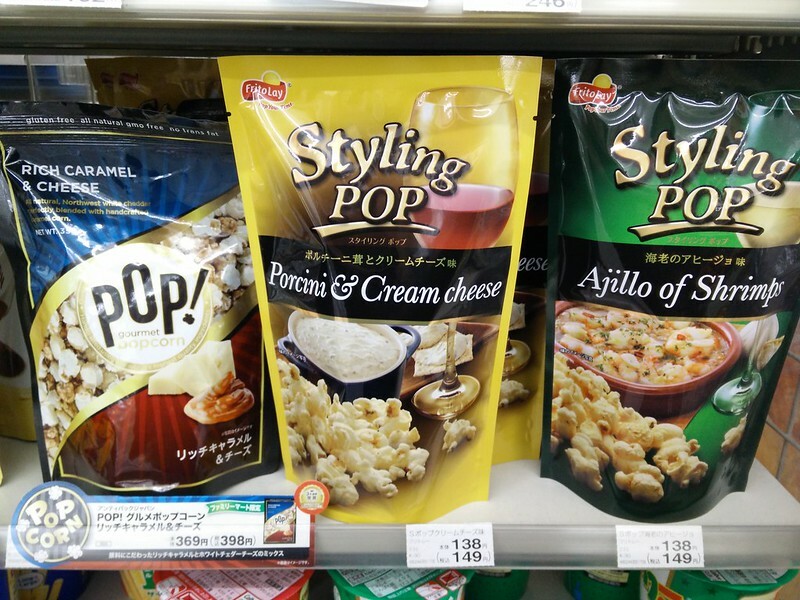 The Japanese think of everything it seems. I think if he ate from mostly convenience stores, then he probably ate quite well. So much selection and mostly quite tasty. I didn’t get any fried chicken from the 7-11s. They looked kind of soggy. BUT I had some AMAZING karaage at a few different ramen places. SO GOOD. Thanks! I haven’t been to China (other than Hong Kong) so hard for me to compare. I’d love to go one day though. These shops look amazing! I love food shopping in different countries because I think you can tell a lot about culture from food. I’ve never been to Japan but I’d love to, and if I did I think I could spend all day in a shop like this. There truly are some weird and wonderful things there! Definitely! I agree completely. It’s so much fun. 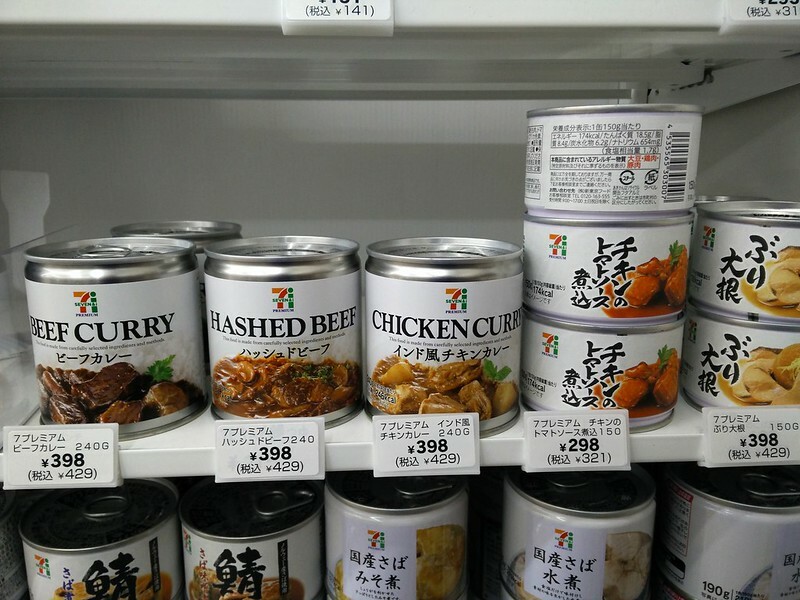 Japanese convenience stores seem so unique with all that selection! I would love to visit one and try all sorts of Japanese foods & desserts. Yum! Definitely. There is so much to look at and try.